Saying this, lawyer Rufus B. Rodriguez shared his commitment to rally behind the development of chess in grassroots level on Saturday's opening of the Individual Open Chess Tournament for children and adult ones at the Nazareth gym in Cagayan de Oro City. A chess enthusiast himself being taught of the rudiments by his father when he's still a kid, the former congressman of the 2nd district of Cagayan de Oro explained that the board game is affordable and could be a ticket for one to avail a scholarship in college. During his term in Congress, Rodriguez said he was able to sponsor some 11,000 scholar students of which many of them now are successful graduates in different academic courses. “Given the chance to be back in Congress, providing scholarships to young and budding students will be one of my top house bill priorities. Chess players are also in my special list for such an opportunity for them to become successful someday,” Rodriguez told a crowd of close to 200 pawn pushers who participated in the Atty. Rufus B. Rodriguez Open Chess Tournament. 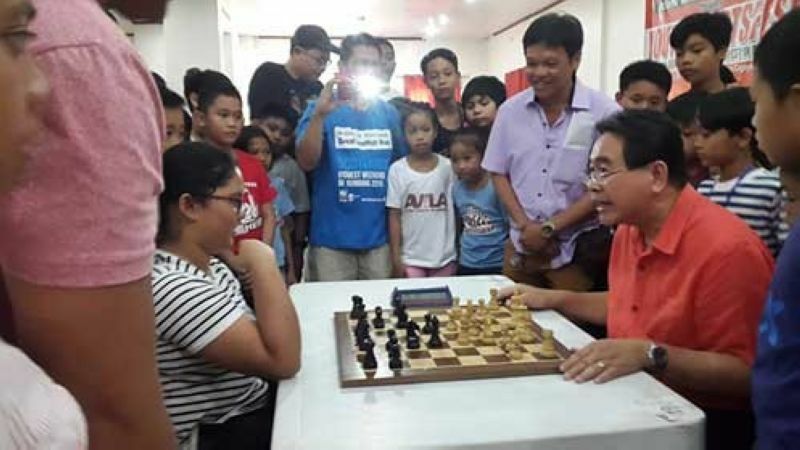 Rodriguez said he sees the potential of Cagayan de Oro in the “Game of Kings” as it already produced World Olympiad campaigners in the wife (Cecile) and daughter (Loreshyl) of local chess arbiter Lorenzo “Jun” Cuizon who are both accomplished women's national masters. The lawmaker is also happy to note that Cagayan de Oro also supplied talents for Far Eastern University that becomes record holder in University Athletic Association Games for most collegiate chess titles. Among them are FEU Tamaraws alumni Lennon Hart, Antonio Chavez Jr., Alfredo Rapanot Jr. and International Master Richelieu Salcedo III. In fact, the two-time Asean age-group champion in 10-year-old Ruelle “Tawing” Canino of Kauswagan Elementary School also took time from her busy schedule to vie for honors in the Rufus Cup chess fest whom Rodriguez promised to become an annual event in the City of Golden Friendship or the country's “mecca of chess” in the making.